Stunning! Our early morning visit to Raystown Lake in central Pennsylvania found dozens of displays of artwork along the water’s edge. Each supported who knows how many droplets of water. Prisms all, they dazzled and titillated. Which artisans worked to craft these? Were they meant to be disassembled and rebuilt again? We didn’t stop to learn whether this was the work of Black and Yellow Argiopes or of the several species of Orbweavers. These bejeweled webs do claim countless butterflies. That is reason enough to post it here on wingedbeauty.com. This has been the story since the beginning. So in the end this is our world. 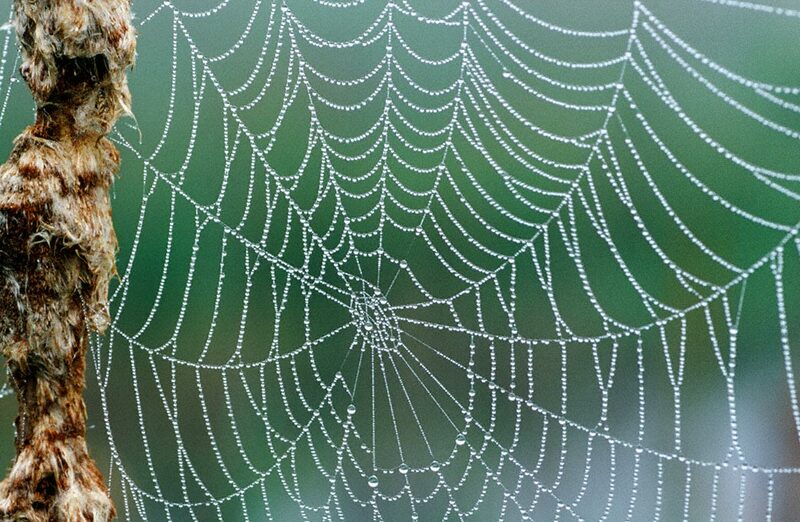 How much time have we spent trying to understand how spiders meticulously construct such webs and, how their delicate proteins hold all but the largest of insects, even after countless minutes spent flaying away to attempt escape. Why do you photograph butterflies, I’m asked? Because of their beauty. It surpasses the finest work of the world’s premier jewelry artisans. So too this gorgeous web demands….Stop and take a look!